Fancy, internet-worthy gingerbread houses have become a hallmark of the holidays online. 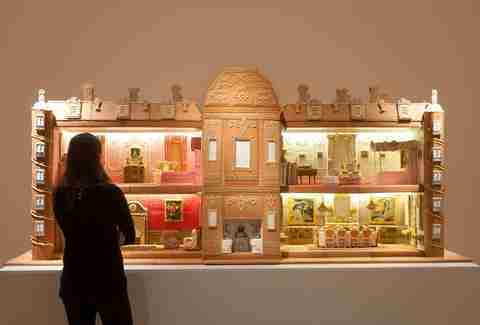 But tell your six-year-old to pack up their icing and leaning tower of graham crackers, because there's no way to compete with what London's Biscuiteers have just created. Over the course of 15 months and 500 hours, Biscuiteers created an incredible replica of Waddesdon Manor, a 19th-century French Renaissance-style chateau in Buckinghamshire, England. It's not just that the folks at Biscuiteers are quite handy with some icing and an oven, the attention to detail is astonishing. 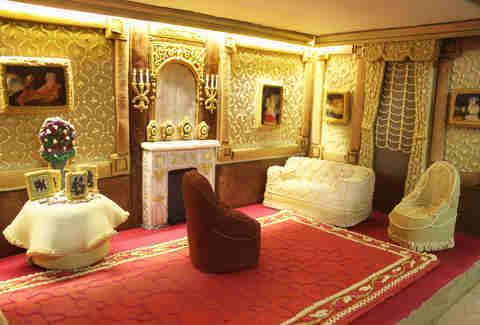 They've replicated chairs, ceramics, and paintings from the manor exactly as they're found in real life. 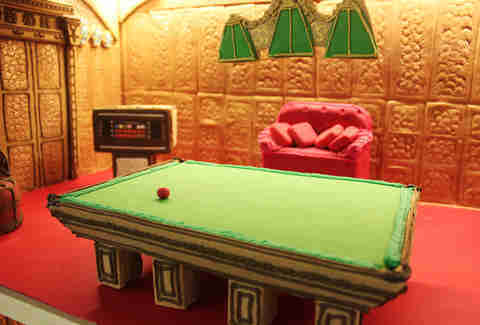 The impressive gingerbread house is made entirely by hand with gingerbread and icing. All told, it required 66 pounds of butter and sugar, 240 eggs, and more than 475 pounds of icing. Basically, that's just one standard American desert spread on Thanksgiving. 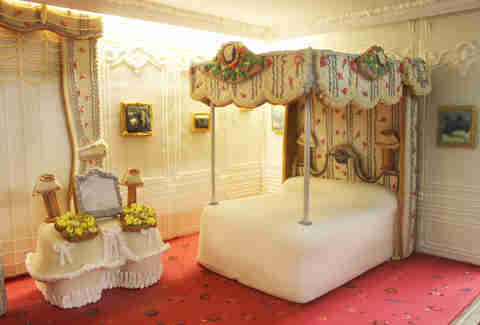 The video above provides impressive side-by-side comparisons of rooms at the manor house and the rooms in the gingerbread house. 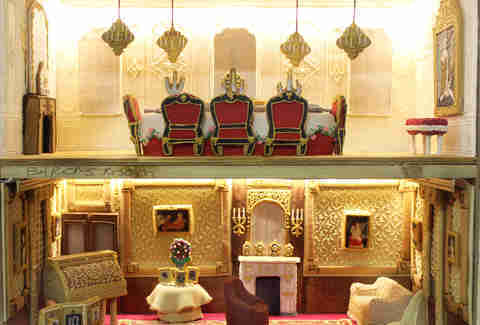 "Waddesdon has a long tradition of entertaining and celebrating the art of the table," write the bakers at Biscuiteers. 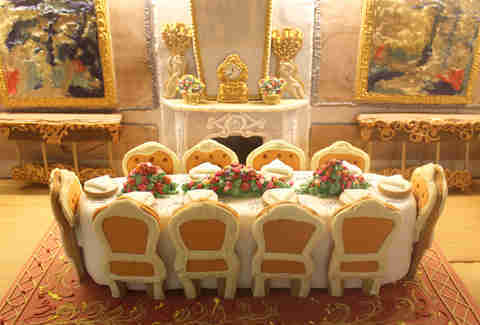 "From the great 18th-century porcelain and silver dinner and dessert services to the wonderful banquets Baron Ferdinand de Rothschild laid on for his guests. We loved recreating the rich details of some of Waddesdon’s most beautiful rooms, including its paintings, furniture, and ceramics, each modeled and hand-iced in dazzling and meticulous detail." 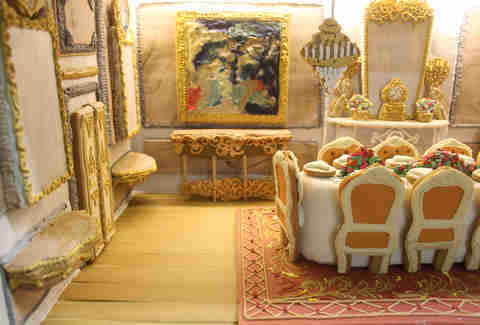 The impressive confectionary creation is on display at Waddesdon Manor currently, along with a "biscuit-baubled" tree in the main house, designed by the Biscuiteers. 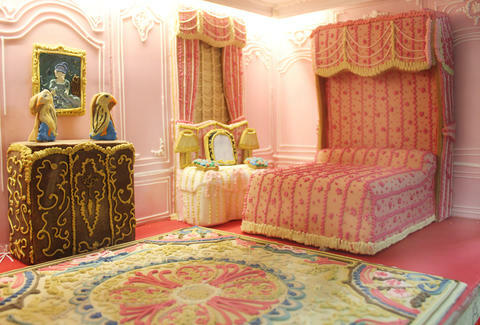 See more photos of the cookie casa below.